"Badaboom", the new video from the German "a cappella metal" band VAN CANTO — which consists of five singers and one drummer (no guitars, no bass, no keyboards) — can be seen below. The song is taken from the group's new studio album, "Dawn Of The Brave", which will be released on February 7, 2014 via Napalm Records. The CD was recorded with Charlie Bauerfeind (BLIND GUARDIAN, HELLOWEEN, HAMMERFALL) and Ronald Prent (MANOWAR, RAMMSTEIN, WITHIN TEMPTATION). An EPK (Electronic Press Kit) for "Dawn Of The Brave" can be seen below. 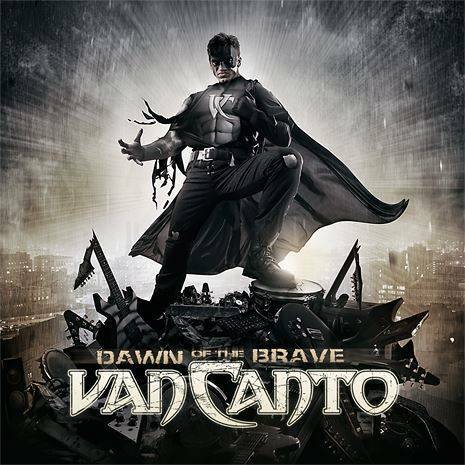 Commented the band: "'Dawn Of The Brave' is our fifth studio album and it was important for us to go a little bit further than before. From the drum sound of Charlie Bauerfeind through to the choir recordings with over 200 VAN CANTO fans up to the mixing of Ronald Prent, who made the whole thing shine, as we always wanted to. The album will be bigger, fatter and more powerful-voiced than ever. We are thrilled to look forward to the release of the album and to play the songs live on tour."